Merck and its immunotherapy competitors will focus on overall survival and new combinations – but the question of cost will be never far away at ASCO 2017. 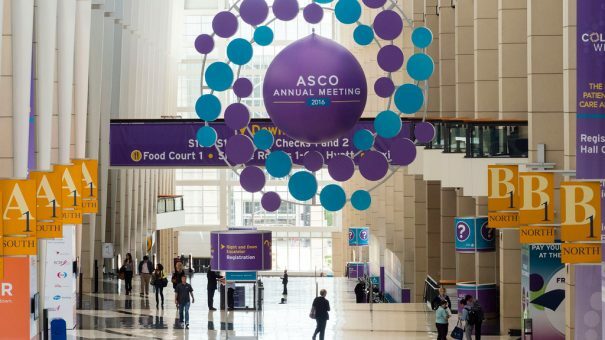 The starting pistol for the American Society of Clinical Oncology (ASCO) congress, the year’s most important cancer meeting, has been fired; hundreds of abstracts were unveiled yesterday, and these always include a handful of studies with the potential to transform treatment. Among pharma companies, it is definitely Merck Inc. which has been riding high in recent months, and it will be looking to set the pace again. Its cancer immunotherapy Keytruda has gone from strength to strength, while several competitors have suffered setbacks. 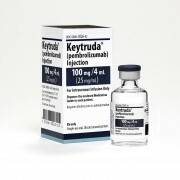 Keytruda has gained FDA approval as first line monotherapy for non-small cell lung cancer (NSCLC) and in combination with chemotherapy, opening up an opportunity to treat thousands of new patients. Meanwhile its rivals, Bristo-Myers Squibb (BMS) with Opdivo and Roche with Tecentriq, have suffered major setbacks in NSCLC and bladder cancer, respectively. Merck now wants to press home its advantage, and has revealed a long list of new trial readouts it will unveil at ASCO, which runs from 2-6 June in Chicago. Data for Keytruda as a monotherapy will be presented in NSCLC, melanoma, urothelial carcinoma, gastric cancer and triple-negative breast cancer (TNBC), among others. Breast cancer is one area in which the new checkpoint inhibitors haven’t produced any data yet, and if Merck can show Keytruda’s efficacy in TNBC, this could open up yet another new market for it. TNBC constitutes 10-15% of female breast cancers, and means the tumour is oestrogen receptor (ER) negative, progesterone receptor (PR) negative and lacks expression of HER-2. As the total number of new breast cancer cases is around 1.7 million a year, this 10-15% represents a very large group of patients. The triple negative disease is often more aggressive and difficult to treat than other forms and, as it cannot be treated by existing targeted medicines, is an area of unmet need. Five-year survival rates for TNBC are much lower on the current standard of chemotherapy and surgery compared to other breast cancer types (77% compared to 93%, respectively), but Keytruda will still need to demonstrate progress above and beyond this level. Merck will also present data of Keytruda in combinations against NSCLC, TNBC and endometrial cancer, among others. One such trial is the phase 1/2 ECHO-202/KEYNOTE-037 study of Keytruda in combination with Incyte’s investigational oral selective IDO1 enzyme inhibitor, epacadostat, in patients with advanced urothelial carcinoma. 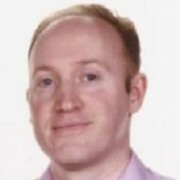 Assumptions about this therapy area have just been turned on their head, after Roche recently revealed its Tecentriq had failed to show overall survival benefits in a phase 3 trial. Keytruda, Opdivo and AstraZeneca’s Imfinzi could all capitalise on Roche’s setback, and will all present data at ASCO. However, while Keytruda has had considerable success in demonstrating overall survival (OS) benefits so far, this remains a potential stumbling block. The abstract posted yesterday for Keytruda’s KEYNOTE-021 Cohort G study shows the drug hasn’t yet shown OS improvement in combination with chemotherapy for first-line NSCLC. These patients had a 31% reduction in the risk of death compared to patients treated with chemotherapy alone. The survival benefit was not statistically significant, although this was in part because three quarters of the patients in the chemotherapy arm crossed over to receive Keytruda. Among all the immunotherapy rivals, BMS will be keen to show Opdivo is still very much in the race. The drug is still the top-selling immunotherapy, despite predictions that Keytruda will soon overtake it. Included in its data showcase will be first efficacy data for its investigational anti-LAG-3 in combination with Opdivo in anti-PD-1/PD-L1 relapsed or refractory patients. A study of Opdivo in combination with Incyte’s epacadostat will also be presented, alongside no fewer than 18 studies of Opdivo plus Yervoy across multiple tumour types, including advanced small cell lung cancer, melanoma and colorectal cancer. The meeting has seen a sharp increase in the debate about the cost and value of new cancer medicines in recent years, and this trend continues this year at ASCO 2017. There are around 60 abstracts presented on Value/Cost of Care, including one study assessing the parallel efforts of ASCO and its European counterpart ESMO to establish simple methods to help clinicians and payers evaluate value and cost. ASCO’s ‘value framework’ has numerous differences to ESMO’s magnitude of clinical benefit scale, but both reflect a growing need for healthcare systems and society to weigh up the value of this wave of new cancer drugs.